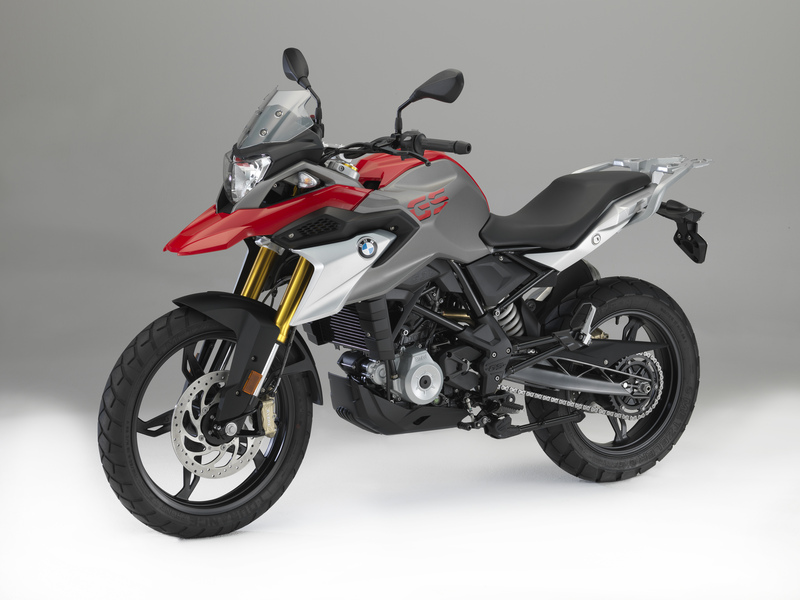 When it comes to the chassis, the new BMW G310GS is very similar to the Roadster G310R. 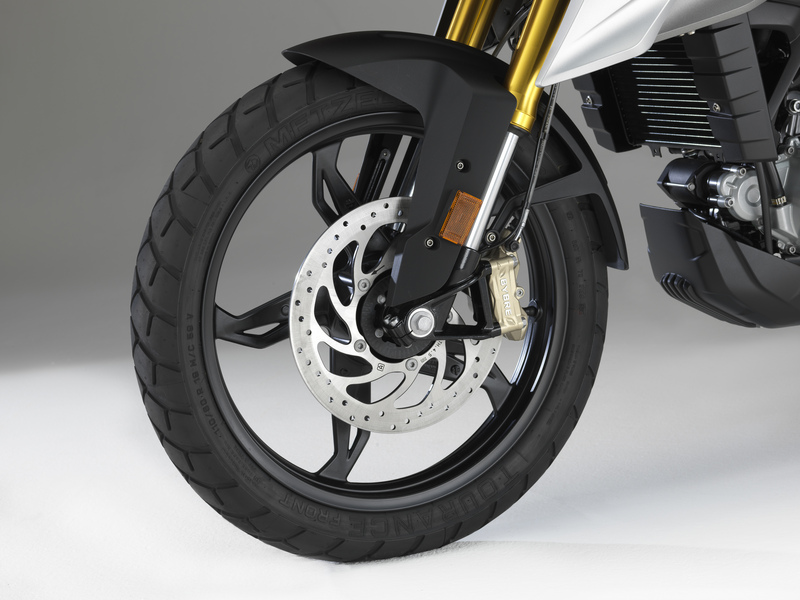 The solid upside-down fork at the front and the aluminium swinging arm at the rear which is connected with a spring strut are responsible for the good stiffness balance and the easy handling. 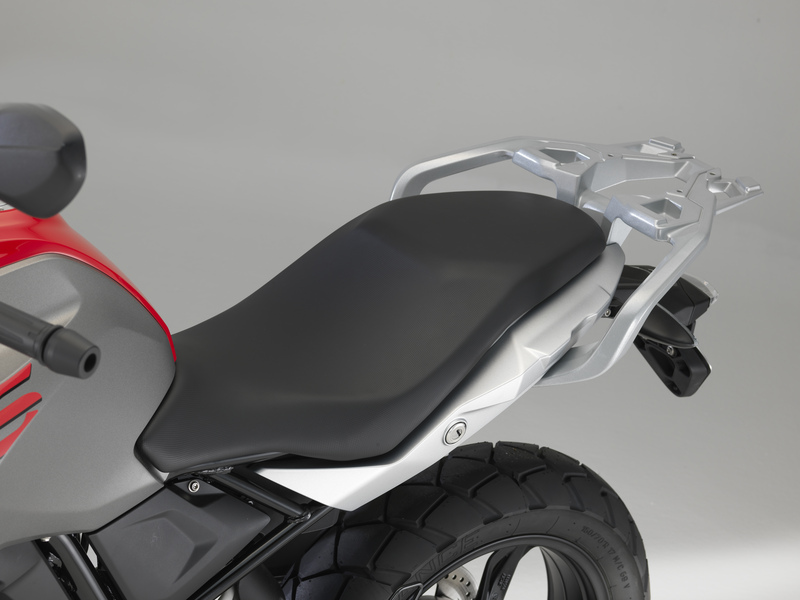 To improve the torsional rigidity and the robust quality the G310GS got a tubular steel spaceframe with bolt-on rear section. Many elements of the new small GS model have been taken from the big GS sisters, like for example the high front fender, the striking flyline and the short, high rear. 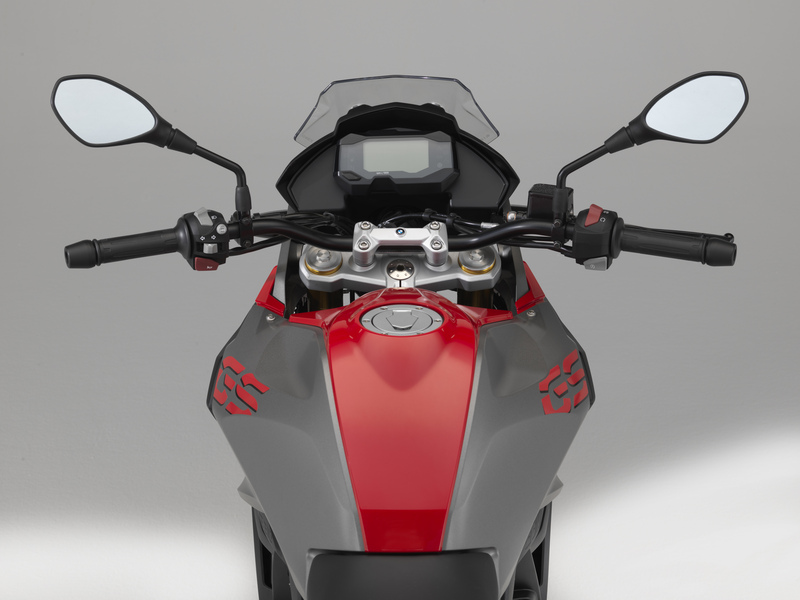 Other typical features of the GS design are the short wheelbase, the 19-inch front wheel and the extended spring travel for compact proportions and the typical upright posture. 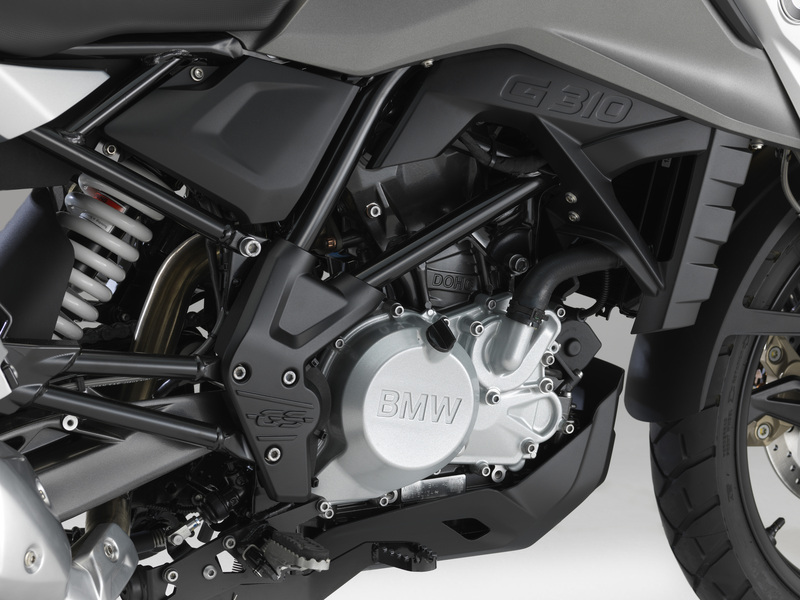 For a broad range of uses worldwide and a dynamic riding fun, the G310GS is constructed with a 313cc liquid-cooled single-cylinder engine (80 millimeters bore and 62,1 millimeters stroke) with four valves, two overhead camshafts and with electric fuel injection. The cylinder head is rotated by 180 degrees (intake at the front, outlet at the rear). This configuration leads to a power-enhancing supply of fresh air and fuel. The new model reaches not only an output of 25 kW (34hp), but also a low unladen weight of 169,5 kilograms according to DIN. 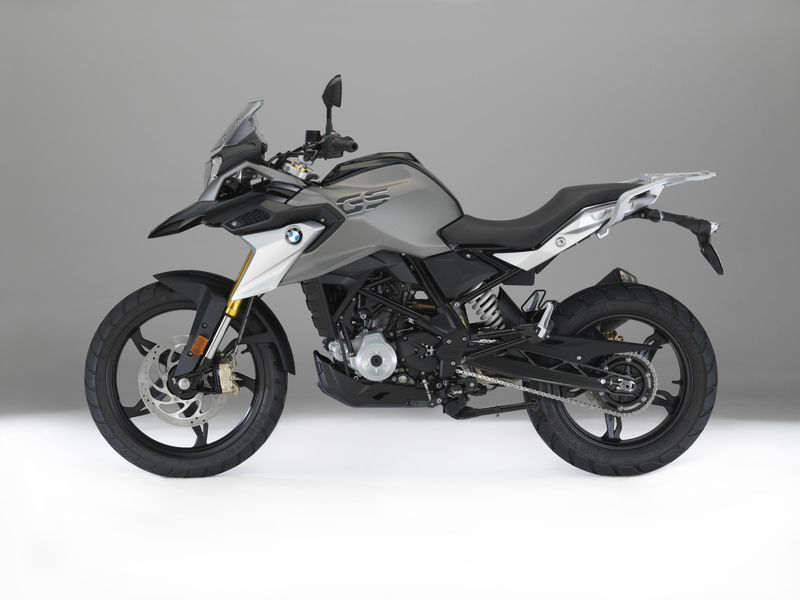 As it is characteristic for BMW motorcycles, the G310GS is equipped with ABS as standard, which can simply be switched off at the press of a button. For efficient deceleration and short braking distances it has a high-performance brake system with 2-channel ABS. A large liquid crystal display gives the drivers an excellent clarity and a wide range of information. 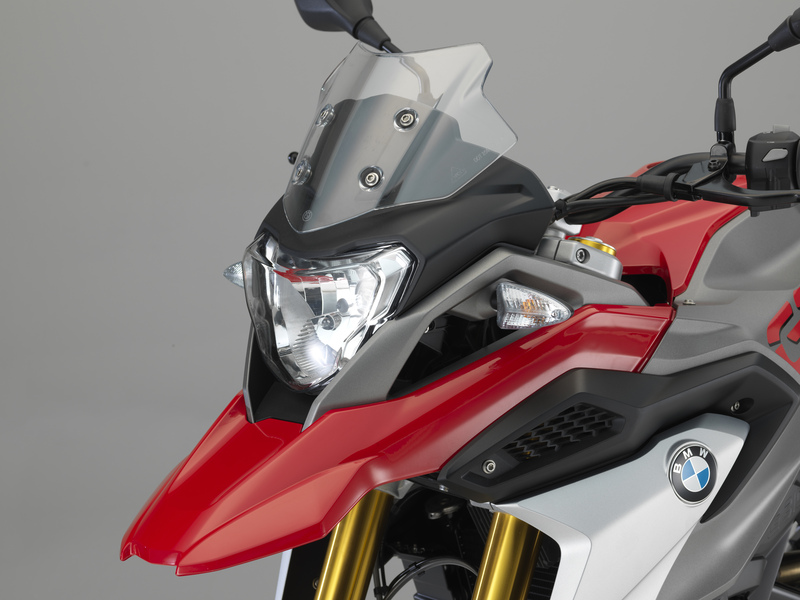 Here you can find all Hornig accessory products for your BMW G310GS.